Danelec Marine’s new intelligent remote management platform is bringing the Internet of Things (IoT) to the maritime industry by providing easy, low-cost access to data from ships at sea. The second-generation DanelecConnect telematics platform is now fully available and the first ship installations are currently underway. The company is working with third-party software application providers to use the DanelecConnect application programming interface (API) tool to capture data from shipboard systems and sensors into their specialized software packages. The United Kingdom Hydrographic Office (UKHO) ADMIRALTY Information Overlay (AIO) is now available on Danelec Marine DM800 G2 Electronic Chart Display and Information Systems (ECDIS). AIO allows subscribers using the ADMIRALTY Vector Chart Service (AVCS) to view the latest temporary and preliminary notices to mariners as overlays on the ECDIS screen, as an aid to route planning and navigation. 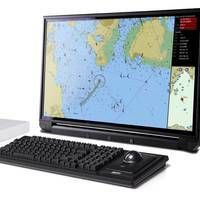 The AIO is displayed as a single layer on top of the basic Electronic Navigation Chart display. “AIO helps bridge crews identify areas of possible uncertainty and risk at the crucial planning stage,” said Thomas Mellor, UKHO head of OEM technical support and digital standards. A consortium of companies aims to develop an expert decision support system for improved ship efficiency and safer navigation via a two-year R&D project called iSea. Backed by funding from the Eurostars program, the iSea innitiative is led by Danelec Marine, with other participants including Vessel Performance Solutions ApS (Denmark), i-Marine Technologies and Research Inc. (Turkey) and Deniztekno Danismanlik Bilgi Teknolojileri ve Bilgisayar San. Tic. Std. Sti (Turkey). Set to commence the R&D program in January 2017, the iSea team will deliver a set of Expert Decision Support Systems (EDSS) for enhancing the performance and navigability of vessels. Danelec Marine has launched a new computer-based training (CBT) program for its second-generation DM800 ECDIS G2 products. The convenient and user-friendly CBT courseware allows students to download the training curriculum to their own computers or laptops and perform the self-study portion offline, at home or at sea. At the end of each module, the student takes a self-administered test. The student can communicate with an ECDIS instructor at any stage of the self-study portion by email or interactive chat. Upon completion of the 32-module course, the student logs onto the internet for a multiple-choice exam, followed by a live-cam interview with a certified instructor. When the student achieves a passing grade, Danelec Marine issues a certificate of completion. Capturing 32 orders for its new-generation DM100 Voyage Data Recorders (VDRs), Danelec Marine’s recent orders were taken by its distributors in China and Taiwan and include 15 new pure car and truck carriers under construction at Yangfan shipyard and 17 retrofits for Yang Ming containerships. Yang Ming is upgrading its fleet to replace the existing VDRs with new technology and selected the DM100 VDRs due to their application-specific design and advanced features such as SoftWare Advanced Protection (SWAP) for faster and easier servicing and repairs. The Yang Ming installations are being made by Danelec’s service partner Navcom Electronics International Co. Ltd.
Danelec Marine informs it has supplied new-generation Voyage Data Recorders (VDRs) for three U.K. Royal Fleet Auxiliary (RFA) Bay-Class Landing Ship Dock (LSD) vessels. 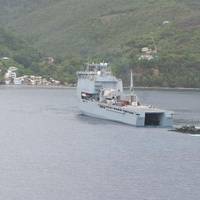 The three ships, RFA Lyme Bay, RFA Mounts Bay and RFA Cardigan Bay, have been fitted with Danelec DM100 VDRs, replacing the existing VDRs which are no longer supported by the manufacturer. The type-approved Danelec DM100s bring the ships into compliance with the new IMO performance standards, which came into force in 2014. Danelec Marine has opened a new European distribution center in Copenhagen. Managed by GEODIS, a global supply chain command company, the distribution center will carry a full range of Danelec Marine products and parts, including ECDIS, Voyage Data Recorders (VDRs) and Simplified Voyage Data Recorders (S-VDRs). “The new distribution center will provide our European distribution and service partners with faster access to a full inventory of products,” said Hans Ottosen, CEO of Danelec Marine. Danelec Marine said it has taken major steps over the past year to expand and strengthen its global service capability, adding new Certified Service Centers and distributors in key locations around the world. 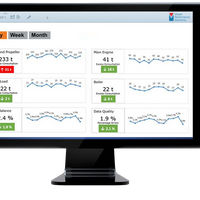 Danelec Marine has launched a program to provide free upgrades of shipboard Electronic Chart Display and Information Systems (ECDIS) to the latest technology meeting new ECDIS standards. 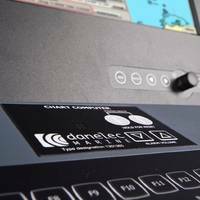 The Danish marine electronics company is currently replacing the first-generation Danelec DM800 ECDIS products with new DM800 ECDIS G2 hardware and V2 software. The Danelec DM800 ECDIS G2 platform has been designed to enable the ship’s crew to upgrade to the V3 software, which will be fully compliant with the new IEC61174 Ed. 4, IHO 52 and IHO 64 standards. Danelec Marine also offers a free-of-charge update training for navigators already holding a type-specific certificate on previous versions of DM800 ECDIS. Danelec Marine announced the introduction of its new Electronic Chart Display and Information System (ECDIS) platform for marine navigation, shown for the first time at the Nor-Shipping 2015 maritime trade fair in Oslo, Norway, this week. Danelec said its new ECDIS platform incorporates new Linux-based application software, an intuitive easy-to-learn user interface, industry-leading cartography solutions, ruggedized low-power LED display monitors and Danelec’s exclusive SoftWare Advanced Protection (SWAP) technology for shipboard service. The new system is designed around a custom-built computer running on Linux, which is more stable, robust and secure than Windows-based PCs. The computer has been designed, tested and built for the marine environment. 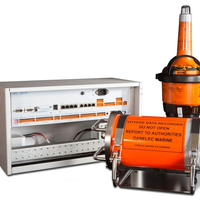 Danelec Marine has received type approvals from the U.S. Coast Guard and China Classification Society (CCS) for its DM100 series Voyage Data Recorders (VDRs). The U.S. Coast Guard approval applies to the Danelec DM100 Simplified Voyage Data Recorders (S-VDRs) and clears the way for older U.S. flag ships to upgrade their S-VDRs to the new-generation state-of-the-art Danelec Marine products. The Danelec DM100 VDR was already U.S. Coast Guard certified. The CCS type approval applies to the Danelec DM100 VDR. “It’s important to note that Danelec Marine’s DM100 VDRs and S-VDRs have full unconditional type approval to meet all of the IMO and IEC technical requirements,” said Hans Ottosen, CEO of Danelec Marine. Danish marine electronics company Danelec Marine informs it will oversee a working group in the European Union (EU) EfficienSea2 maritime innovation project designed to increase safety of navigation and efficiency at sea. The EU this month approved and set aside $11 million to fund the EfficienSea2 initiative, which is being spearheaded by the Danish Maritime Authority. The project consortium includes 32 partners from 12 countries. A key component of the initiative is the development of a “Maritime Cloud,” a communication tool that will improve the exchange of information for vessels at sea. The project will also yield an array of new digital services within the areas of navigation and automatic ship emission reporting and monitoring, to further increase efficiency. 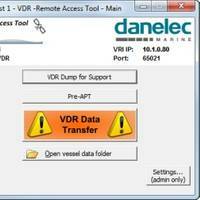 Danelec Marine today announced the availability of conversion kits to facilitate replacement of older shipboard Voyage Data Recorders (VDRs) and Simplified Voyage Data Recorders (S-VDRs). Denmark-based Danelec has designed a full range of adapter plates with pre-drilled bolt holes, as well as serial, digital and analog interfaces for older VDR brands. This makes for easy plug-and-play replacement of the bridge data units, microphones, memory capsules and other components, while reusing all existing interfaces, cabling and adapters, the company said. Voyage Data Recorder (VDR) supplier Danelec Marine today announced it is adding two new distributors in Brazil and Mexico to expand its distribution in Latin America. Telnav Telecomuniçacões Navais, in Rio de Janeiro, Brazil, and Indumar, based in Veracruz, Mexico, will take responsibility for sales and service of Danelec Marine’s suite of products, including VDRs, Simplified Voyage Data Recorders (S-VDRs) and electronic chart display and information systems. They will also provide shipboard annual performance tests for Danelec Marine VDRs and S-VDRs to meet IMO requirements. “The appointment of Telnav and Indumar is a key part of our strategy of broadening and upgrading our distribution network around the world,” said Hans Ottosen, CEO of Danelec Marine. Using the VDR as the Ship’s Data Clearing House provides budget-minded operators with the means, the bandwidth and the economy to monitor critical systems. Go on: dip your toes in the big data water. Big Data. It’s all the rage across the full spectrum of the maritime world. Thousands of data points on 70,000 vessels literally scream out to be harvested and sent back to the home office, all with the intent of making your vessel more efficient, your operation more profitable, the environment cleaner and perhaps, your bunker and maintenance bills lower.